The prevalence of advanced heart failure (HF) is on the rise and patients today are older, more complex and at higher risk of poor outcomes. Despite advances in evidence-based therapies, or in some instances a result of, there is often progression towards end stage HF. Timely referral to advanced HF specialists is imperative to improve quality of life, and in select patients, prolong life expectancy. The gold standard of advanced HF treatment remains cardiac transplantation, with a 1-year survival rate approaching 90%. At roughly 12 years, the survival rate is about 50%. Since the first human heart transplant in 1967, survival has drastically improved due to progress in the areas of immunosuppression, infection control and, recipient and donor selection. Transplantation is also associated with improved quality of life and exercise capacity (Crespo-Leiro et al., Eur J Heart Fail. https://doi.org/10.1111/ejhf.1236, 2018). 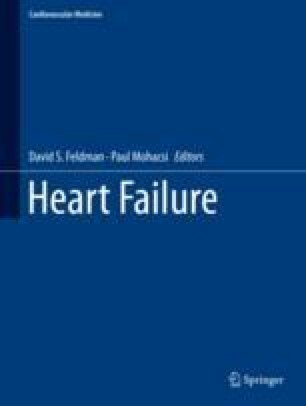 Regardless of the growing number of advanced heart failure patients, there still remains a shortage of donor hearts (Khush et al., Am J Transplant 15(3):642–9, 2015) with around 2500 available annually in the USA over the last two decades and around 3700 available worldwide (Khush et al., Am J Transplant 15(3):642–9, 2015; Ahmet et al., J Thorac Dis 6(8):1097–104, 2014). The relative dearth of available organs combined with increased emphasis on quality and outcomes in organ transplantation make the criteria for appropriate recipient and donor selection and management stringent and paramount in assessing individual institutional outcomes against national mortality and graft survival . Crespo-Leiro MG, et al. Advanced heart failure: a position statement of the Heart Failure Association of the European Society of Cardiology. Eur J Heart Fail. 2018. U.S. Department of Health and Human Services. https://www.organdonor.gov/about/process/matching.html.